We can send you the current rate card and editorial calendar. Advertisements in Chicago Construction News can include hyperlinks at no additional charge. You can request a free copy of the Chicago Construction News rate guide by completing the form below. You will receive documentation right away. 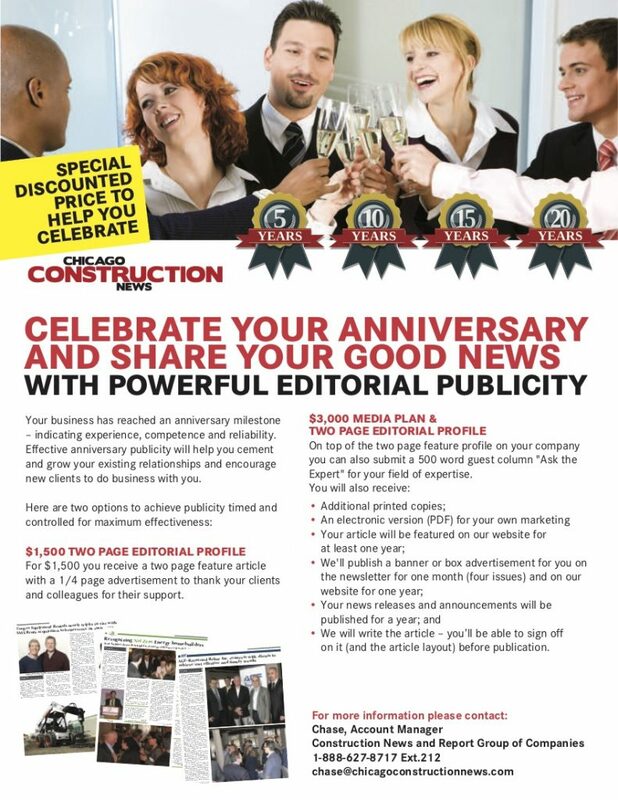 As a sponsor you receive editorial publicity, links to your corporate website, exposure on all webpages and cover recognition on printed copies of Chicago Construction News. For more information about advertising, editorial special features and sponsorships, contact Chase at chase@chicagoconstructionnews.com. You can also phone Mark Buckshon at (888) 627-8717 ext 224.